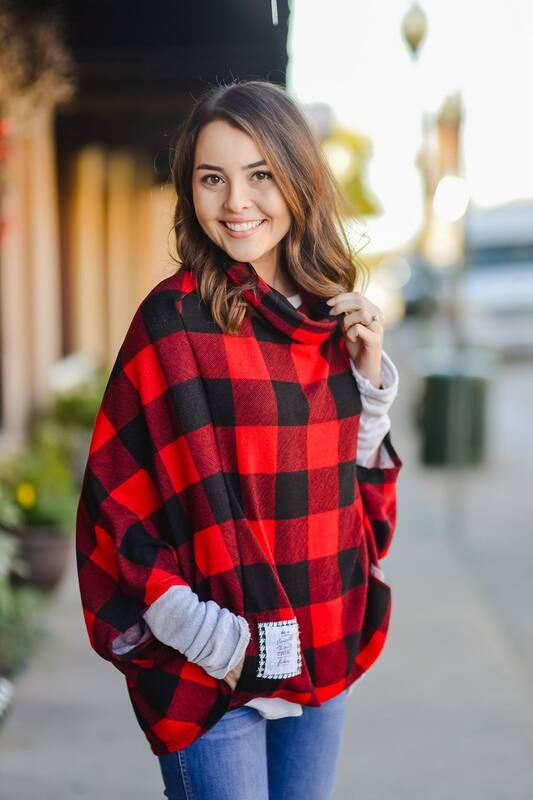 This is a red and black buffalo plaid poncho with a Scripture patch on the pocket! It’s super cute! Comes in small, medium, and large. It hits around the hips and armholes are at the bottom. Super roomy and comfy!